Calculate President George Bush Turnpike Tolls. The President George Bush Turnpike flanks the city of Dallas on the west, north and east. The road is technically classed as an east-west roadway, although it is, for the most part, a large crescent loop. Its path shares a route with Texas SH 161, which is a north-south roadway, as well as SH 190, an east-west road. Both state highways act as the access road that runs adjacent to the PGBT. For mileage, the mile markers ascend from west to east, starting with zero (0) at Interstate 20 and increasing to the roadway's final end at I-30, well to the east. Most major highways in Texas have access roads. Ramps to and from your selected exit will take you to the access road, which then intersects with your selected road way. The entrance and exit ramps typically do not, themselves, intersect with any roadway other than the access road. The PGBT also intersects with a number of other freeways of the Dallas-Fort Worth Area, including the Dallas North Tollway, the John Carpenter Freeway (SH 114), I-35E, I-635, I-30, I-20, the Airport Freeway (SH 183) and the North Central Expressway (US 75). ► Starting exit and Mile Marker: I–20 at Mile Marker 0, in Grand Prairie. ► Ending exit and Mile Marker: I–30/US 67 at Mile Marker 54.6, in Garland. 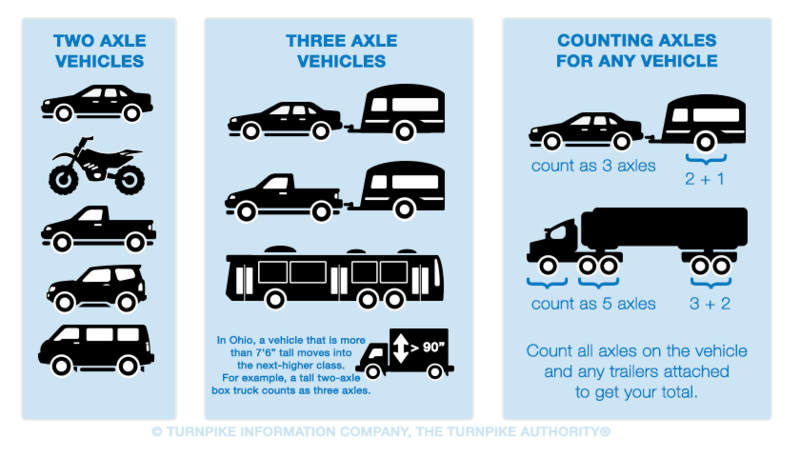 Tolls on the President George Bush Turnpike are calculated based on the number of axles for your vehicle. When counting axles, make certain to count the axles with wheels on the ground, including any axles on trailers you may be towing.